Facebook today announced it would allow certain businesses to post to Community Help, where they may offer aid during a crisis. Hopefully this will make it easier for people to get efficient, organized help. At present, the company is partnering with Direct Relief, Feeding America, Lyft, Chase, the International Medical Corps, the California Department of Forestry and Fire, and Save the Children. It also says it’s looking to partner with more companies in the future. During a crisis, companies can post offers of aid and relief to the Community Help page for things such as transportation, food, shelter, and clothing. From our years of experience across the nation supporting disaster recovery and improving disaster readiness, we know how important it is to connect people on the ground with resources and information in an expedient manner. We believe this tool could be instrumental in assisting local or nearby food banks in providing much needed food to people who have been displaced. According to a Facebook spokesperson, business must have a verified Page in order to post in Community Relief. They also aren’t allowed to post any promotional content. 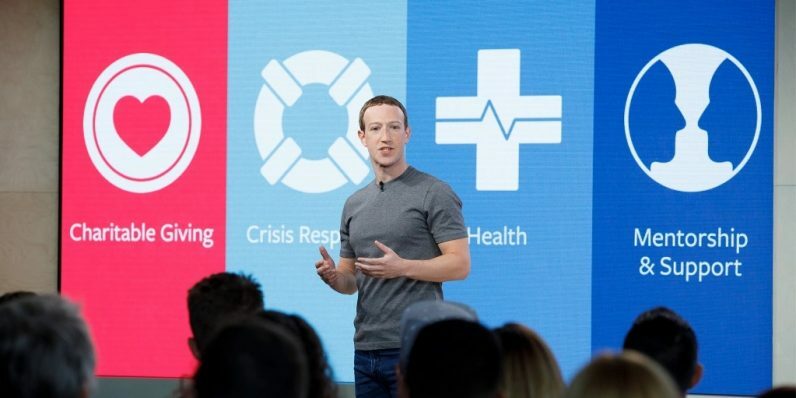 Facebook has beefed up its Crisis Response Center in the past year, beginning with the introduction of Community Help last February. It added the Center in September, creating a place where people could ask for help, mark themselves as safe, and raise funds for disaster relief. Still, up to now it’s been mostly people helping people, which might not be sufficient to handle the growing need. According to Facebook, users engaged with community help with over 750,000 messages, posts, and comments across 500 crises. That’s a lot of people using social for help, and getting businesses on board will be a good way of getting more people what they need.